Five-story row house at 330 West 86th Street to be demolished. Photo: Kevin Schultz. Restrictions in deed and Council’s approval do not restrict future owners. The City foreclosed on a deteriorated five-story row house at 330 West 86th Street between West End Avenue and Riverside Drive. The City, through HPD, sought to designate the lot as a UDAAP, an Urban Development Action Area Project, to allow for a quick sale without an auction or bidding process. To obtain City Council’s expedited approval, HPD explained that the project would only result in the building’s rehabilitation or new construction of less than four units; the full Council approved. In June 1999, the City sold the building and lot for $340,000 to 330 West 86 Oaks Corp. by a deed that required 86 Oaks to remove all the code violations in six months and offer two-year leases at no increase to all current tenants. In February 2001, without removing any code violations, 86 Oaks sold the site for $1 million to a developer that planned to demolish the row house and replace it with a high rise residential building. Owners of an adjacent building on West 86th Street sued 86 Oaks, the City, and the new owner, seeking an injunction to stop the demolition and a judgment restricting use to construction of less than four units or the reuse of the row house. The City then sued 86 Oaks and the new owner, arguing that the deed and Council’s approval permanently restricted the property’s future use to the row house or four units. The lower court agreed. The First Department overturned the decision, finding that neither the UDAAP approval nor the City-drafted deed bound future owners. The court pointed out that the deed contained restrictions such as the requirement to remove all code violations within six months, which remained unique to 86 Oaks and also set a firm timeframe. This eliminated the idea that the City intended the deed to bind all future owners. The court noted that the City had a claim against 86 Oaks for breach of the original deed. 328 Owners Corp. v. 330 W. 86 Oaks Corp., 2006 NY Slip Op 06262, Aug. 17, 2006 (1st Dep’t) (Michael A. Cardozo, Tahirih M. Sadrieh, Edward F.X. 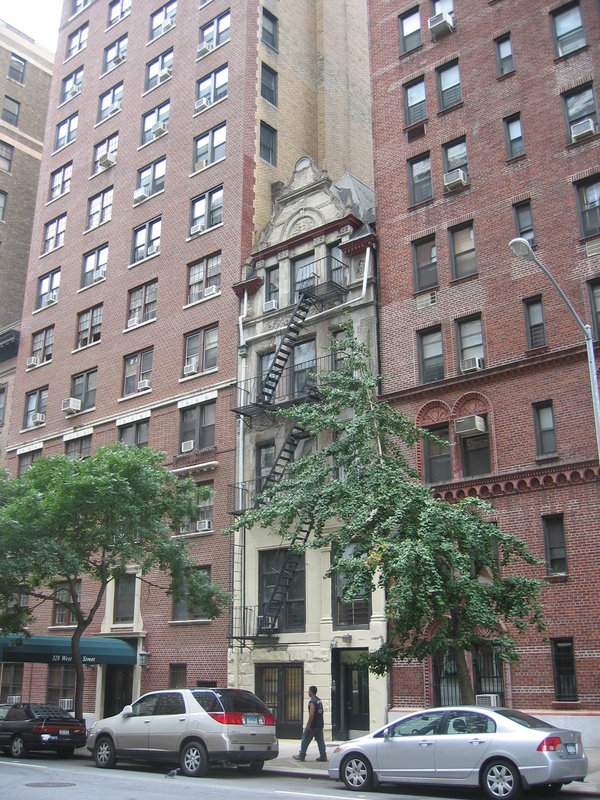 Hart, Warren Shaw, for NYC; Edward Safran, for current owner, 330 West 86th Street, LLC; David Rosenberg, for adjacent owner, 328 Owners Corp.; David Fleischer, David Park, for 330 West 86 Oaks Corp.).